We would like to have a character designed from scratch, do not send images that you have not created, or that you have stolen from the internet. If you are a talented designer read on. 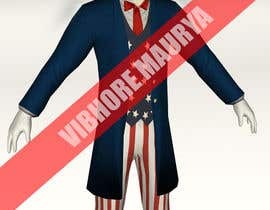 We are looking for our own version of the Uncle Sam character. 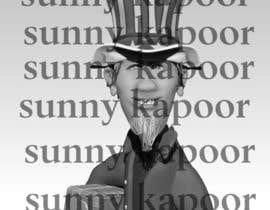 Please search Google images for "uncle Sam" if you are not sure. The character should be standing up, full length shot in an almost cartoon style, if you can make him pop out like 3d even better. Thank you Vibhore, Vladu11 and Publisinggurus for the entries, I will show these around the office for feedback and choose a winner. No Prob. Sir , i waz not sure about wether to model it in cartoon type or lil bit realistic i've done wat i got from google refrences. Let me know the changes and I will get it done. I went offline to cook food, I am back. Well the whole PM got deleted, so I thought you are fooling around, as we get lot of spammers here. Now the PM are available. The contest has one more day to run and to be fair to the other people who have told me there designs will be in I will not close early. Please check the pm's I sent you before you accused me of fooling around, and then check my profile to see if I fool around, I'm running a business I do not have time to fool around. This guy is fooling around, he had PM with me over 50 messages and at the end writes it is very good, deletes all my PM and now rejects it. I was anyhow making it for my portfolio, so it doesn't matter to me, but others beware of such spammers. Is Uncle Sam supposed to be carrying mail? I am attaching what I have done till now as you asked, let me know the changes. #10 Two versions of my vector graphic image. Your feedback would be appreciated. 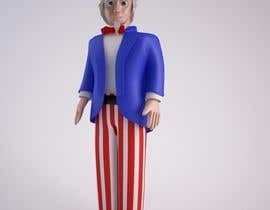 I will also submit my entry with 3D Uncle Sam. Please keep the contest on until due time, thank you. Great. Send me a PM. I will start work soon and keep updating you. Check my Portfolio, your price is very less for 3D work. Modelling and texturing takes loads of time. Increase the price a bit and I will be very much interested.